Which Is Your Favorite Bedroom Style is an online Kids game, it's playable on all smartphones or tablets, such as iPhone, iPad, Samsung and other Apple and android system. Which is your favorite bedroom style? Romantic Disney Princess style, lovely Anime style, or cool Marvel Superhero style? All of the three different styles are here! 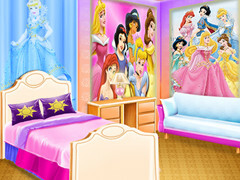 In this game you can choose your favorite bedroom style from them and design your dream room. Enjoy!